NEWCASTLE will get light rail in its inner city in return for the Port of Newcastle being handed over to the private sector, the O’Farrell government has announced in its latest budget handed down on Tuesday. The government will use $340million to replace heavy rail with light rail from Wickham to Newcastle, from the proceeds of a proposed 99-year lease of the Port that Treasurer Mike Baird said could reap about $700million. The $340million would come on top of the $120million the government has already committed to spending on rail changes in the inner city, including the construction of a transport interchange at Wickham. And the light rail strip could be the start of a broader system, with $10million to be spent exploring the potential to link the city centre to surrounding suburbs, beaches and broader region. ‘‘This will now go beyond a mere revitalisation: it will effectively be the rebirth of Newcastle as a modern city,’’ Mr Baird said. The proposal forms the budget’s centrepiece infrastructure announcement. A scoping study for the port transaction would get underway immediately. The government is aiming to complete the lease by mid next year. It follows the recent lease of both Ports Botany and Kembla, which were announced in previous budgets and raised about $4billion net for infrastructure spending. Overall, Mr Baird has forecast a deficit of $329million in 2013-14, with a return to surplus expected in 2014-15, in a budget he says will ‘‘secure the future for NSW’’. It confirms the provision of $585million for the rollout of the National Disability Insurance Scheme in the Hunter. The budget also provides for up to $120million this year for the Resources for Regions program, which is aimed at returning some of the proceeds of mining to affected communities. About $40million would be allocated to successful applications made before June 11, with $80million available for those who make applications before October. Singleton and Muswellbrook are among the councils to have already made applications and will need to wait to learn if they will get a share of the money. The budget also delivers more money for the Newcastle justice precinct, with a further $63million for its construction. The government has also continued its housing acceleration fund, with two Hunter sites included in the initiative this year. Wastewater network upgrades at Farley and Rutherford will be fast-tracked to help pave the way for the construction of 5300 new homes, and an intersection on the New England Highway at Lochinvar and its water mains will be upgraded to enable 5000 new homes to go ahead. But the budget is silent on allocations for the remainder of the Hunter Infrastructure and Investment Fund. The fund’s board had made recommendations to the government earlier this year on how to spend the $60 million remaining of the $350 million election commitment. The budget papers say the government is considering the board’s recommendations. I think turning Broadmeadow into a major interchange is better than Wickham. There's ample room to the south of the current station to build an interchange for intercity, country, regional and light rail trains and possibly a bus interchange on the bridge. Interface with the proposed rail museum at Broadmeadow could also be beneficial. Well it seems to be a good compromise. I walked around the Newcastle City Centre a week ago and it was a ghost town, while Charlestown Square was quite crowded. Yes, it was the Queens Birthday but the contrast between the thriving Charlestown Square and the dilapidated Hunter Street mall was quite shocking. I went to Hunter Street mall 8 years ago with my dad and it was full of activity, but now it really needs revitalisation. 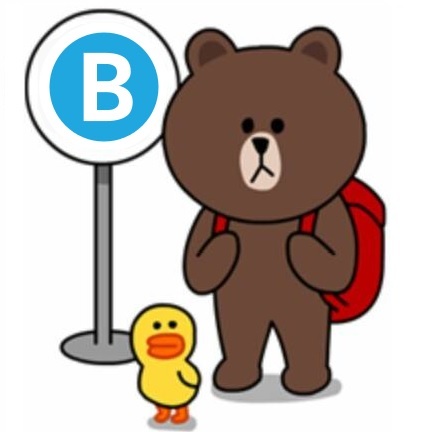 I never expected the government would actually have the initiative to put light rail in - I fully expected they would either close the line completely or just keep it running. mandonov wrote: I think turning Broadmeadow into a major interchange is better than Wickham. There's also plenty of room at Hamilton, if it must be done. during the last end shut down maitland trains terminated at broadmeadow, ppl walked accross the platform onto the sydney intercity train ...............no stairs at hamilton easy on and off and the do gooders were all smiling like cheshisere catts.........its a for gone conclusion it works from broad meadow and hardly a cent needs to be spent! the oldies and ppl with prams loved it best thing since sliced bread ................untill the hunter cars miss the conection then it will hit the fan! Location: Retirement village! Bushland Beach TOWNSVILLE NTH QLD. Broadmeadow is on a rail line between Sydney and New England and Brisbane, Hamilton is not. Broadmeadow is the true Newcastle "Central station" if only someone would admit it! tonyp wrote: Broadmeadow is the true Newcastle "Central station" if only someone would admit it! Instead of cutting a direct link off, a better idea is to slow the trains between Wickham & Newcastle, increase some of the speed elsewhere to make up for it, and have tram-trains sharing the tracks. Last edited by Newcastle Flyer on Tue Jun 18, 2013 5:38 pm, edited 1 time in total. I stood on that side on purpose, and yes I know about the traffic. It wasn't meant to be a great video, just showing the crowd of passengers. Newcastle Flyer wrote: Instead of cutting a direct link off, a better idea is to slow the trains between Wickham & Newcastle, increase some of the speed elsewhere to make up for it, and have tram-trains sharing the tracks. Are you proposing that the fencing beside the railway be removed and pedestrians be allowed to cross the railway line at any point where there is open space on both sides of the track? mubd wrote: Are you proposing that the fencing beside the railway be removed and pedestrians be allowed to cross the railway line at any point where there is open space on both sides of the track? Newcastle light rail, like the NWRL being announced as driver-less, are merely distractions to draw people's gaze away from the real deals being done. While every one's in a flap over (light rail/driver less) the real deals in handing over public assets to private hands gets by with little scrutiny. You can be pretty sure light rail to replace the Newcastle heavy rail is not a serious proposal, it's merely a smoke screen. Why replace a perfectly functional heavy rail link with a light rail line that forces every one to change trains at Wickham ?. People will just leave the 'system' at Wickam, or more likely just not bother going to central Newcastle on public transport at all and just drive their cars to the suburban shopping centres instead. Which is the real reason the Newcastle CBD is a ghost town, not the railway 'dividing' the city. city – fast-tracked through the lease of Newcastle Port. vision for a revitalised Newcastle. the strategy to reinvent Newcastle as a modern city. triggered a burst of private development activity in the area. Andrew Cornwall, member for Charlestown after Richard King asked a question, and he said that light rail MAYBE AN OPTION. Plans to be revealed by Christmas. how much would it cost for a cut and cover tunnel in the current alignment, stations and all? I suspect if all the money from the coal terminal sale went to Newcastle, it could pay for it. mandonov wrote: how much would it cost for a cut and cover tunnel in the current alignment, stations and all? I suspect if all the money from the coal terminal sale went to Newcastle, it could pay for it. Developers have already said that they don't want anything either above, on or below the rail land. If developers are not after that rail land, then why are they so interested in it? By the way, this photo surely must prove something. Now McCloy for obvious reasons (a land grab) wants it to go along Hunter St.
As stated in my previous post, surely that picture proves something. As an outsider and a visitor to Newcastle once or twice a year, I have taken a keen interest in the debate about the future of the heavy rail link from Broadmeadow to the Newcastle CBD. I have also been involved in the purchase of a multi-storey retail/residential property in the CBD for future redevelopment. It seems to me that it would be a retrograde step to abandon the heavy rail link into the heart of the CBD, when other cities would crave such transport link. You can look no further than the parallel in Sydney over a century ago, when there was a push to extend the suburban rail system from Central into the city centre, which was then serviced by trams. Dr John Bradfield recognised this sentiment and it is to his credit that the city underground railway was borne. There are other options to retain the corridor into the CBD, such as lowering the rail line in the inner section to Newcastle Station, which is not exactly rocket science. This doesn't preclude the introduction of a Light Rail network, initially along Hunter St from say Broadmeadow to the CBD. A few decades ago, there was a long standing proposal to construct an overpass of Stewart St across the rail line at Wickham, thereby eliminating the level crossing which is a major source of traffic congestion in peak hours. This has now long disappeared into history. I'm not convinced that the heavy rail link inhibits opportunities to revitalise the Newcastle CBD. For example, I believe that GPT's decision to abandon their redevelopment proposal for their CBD land holdings was disingenuous and had nothing to do about the heavy rail link into Newcastle Station. It was more about competing with the regional shopping centres such as Charlestown Square. Regrettably, successive governments of both persuasions have neglected to reinforce the Newcastle CBD as the focus for the Hunter Region. Either they endorse the current Newcastle CBD as the principal focal point for the Hunter Region or abandon it and shift further west, which in my view would not be in Newcastle's best interest. Transtopic wrote: It seems to me that it would be a retrograde step to abandon the heavy rail link into the heart of the CBD, when other cities would crave such transport link. Auckland is a very good example. They took out their CBD railway, the number of people in their CBD declined. They put it back, and the number of people increased into the CBD, and the Auckland developers saw the advantage of their returned CBD railway, that Auckland is now in the process of extending their CBD railway. Auckland learnt a very expensive lesson, that no other city should learn. Transtopic wrote: I'm not convinced that the heavy rail link inhibits opportunities to revitalise the Newcastle CBD. It doesn't but the recently built building do. Transtopic wrote: For example, I believe that GPT's decision to abandon their redevelopment proposal for their CBD land holdings was disingenuous and had nothing to do about the heavy rail link into Newcastle Station. It was more about competing with the regional shopping centres such as Charlestown Square. It's both, but GPT and certain other developers are after that rail land. Don't believe me, here is their video. And the HDC had/has a video, but they had a lot of comments that were opposed to their plan, so they disabled comments. GPT demanded (read tried to blackmail) the governments in saying "if you don't commit to removing the rail line, we will pull out. Surely this is yet another comment that proves what they and their developer friends are after. I also have access to a picture with Barry O'Farrell wearing a Save the Newcastle Rail Line badge, at a rally when Labor were in. Transtopic wrote: or abandon it and shift further west, which in my view would not be in Newcastle's best interest. That's what they have done with government services, they have moved them to the old RTA building in Newcastle West, as if they want everything out of the CBD. Where is this enormous wide road supposed to be ? And anyone who thinks parking like that would be allowed in new locations is delusional. People can get whacked by moving cars getting out both doors simulataneously. 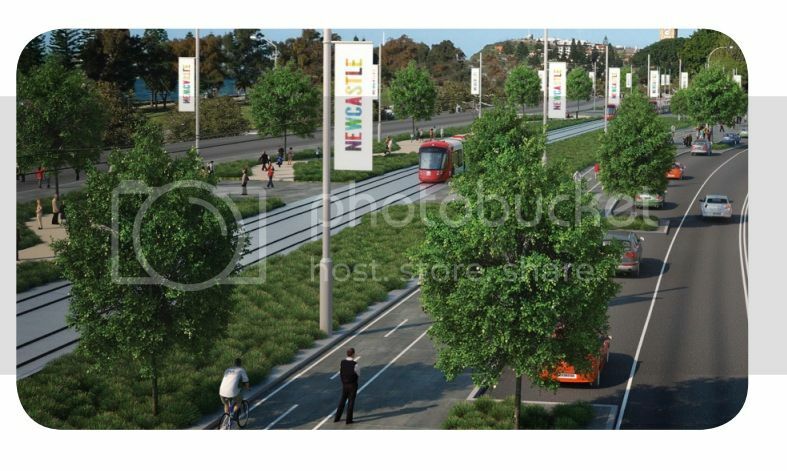 The NSW Government today announced the first stage of the new Newcastle light rail line will link the beach with a new transport interchange at Wickham as part of a transformational project that will revitalise the city centre. Minister for Planning and Infrastructure Brad Hazzard and Minister for Transport Gladys Berejiklian said detailed studies proved Wickham to be the best location for a fully accessible interchange to support the revitalisation of the Hunter region. Mr Hazzard said the NSW Government was getting on with determining where light rail would travel between Wickham and the beach, which could form the spine of a future light rail network for the Hunter. 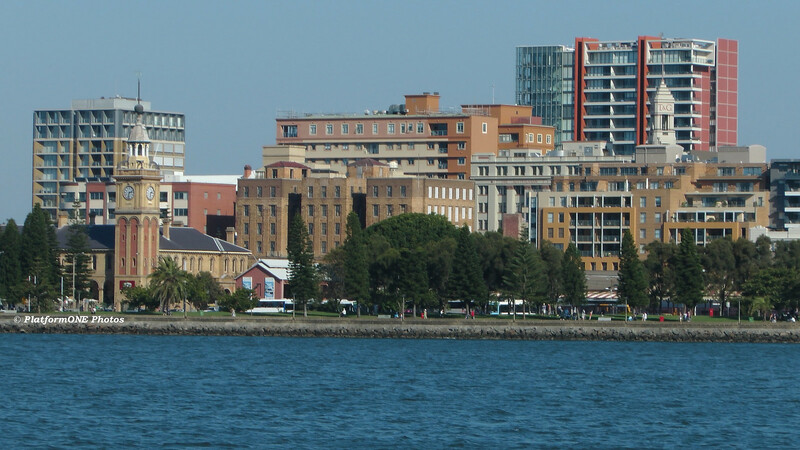 Hunter Street and Hunter Street Mall to near Newcastle Beach at Pacific Park. “This is about providing the first stage of a light rail system for Newcastle – connecting people to prominent, vibrant areas of the city centre, such as the Honeysuckle precinct and Hunter Street, and encouraging ongoing investment,” Mr Hazzard said. “Both options promote urban renewal and improve access to key destinations in the Newcastle city centre – supporting Newcastle and the Hunter’s revitalisation. “Consultation with the community, which we will start in the new year, will be critical to our decision-making about Newcastle’s future light rail system. “Up to 11 new pedestrian and road crossings will be delivered as part of this project – opening up the city centre to the foreshore as never before. Ms Berejiklian said Wickham was selected as the location for a new, fully accessible interchange for heavy rail, light rail and buses following detailed studies. She said an interchange at Wickham also provided the best outcome for transport customers, as all bus, heavy rail and light rail services would be located on one level for easy interchange. “We carried out a rigorous assessment of a range of options and through this process identified Wickham as the best option to deliver urban renewal outcomes for Newcastle compared to the other locations considered,” she said. “A transport interchange at Wickham will help create a new business district within the emerging Newcastle CBD at the western end of Newcastle city centre. More than 11 hectares of undeveloped land is located within 400 metres of Wickham. Mr Hazzard said this means there is potential for this interchange to trigger significant development and economic growth. To assist with the community consultation, the NSW Government will next year release comprehensive detail about both options for the light rail route between Wickham and the beach. Separate work continues on planning for future routes linking to this spine. The announcement of an interchange at Wickham and the light rail route options comes as two key tenders were awarded for the project. International consulting firm URS has been appointed to provide detailed advice on the design of a new interchange at Wickham, including operational requirements, a new stabling and maintenance centre, which will provide customers a straightforward transition to buses and light rail. In addition, the tender to develop a business case and economic studies for the Newcastle light rail project has been awarded to EY, which has an extensive track record in economic assessment projects of this type.